Las Vegas, NV (April 4th, 2019) – PinRaise, the company that connects local real estate agents with local clients and nonprofits, announced today that the donations continue, with the help of their esteemed real estate professionals each making donations on behalf of their clients to the nonprofits of their clients’ choice. 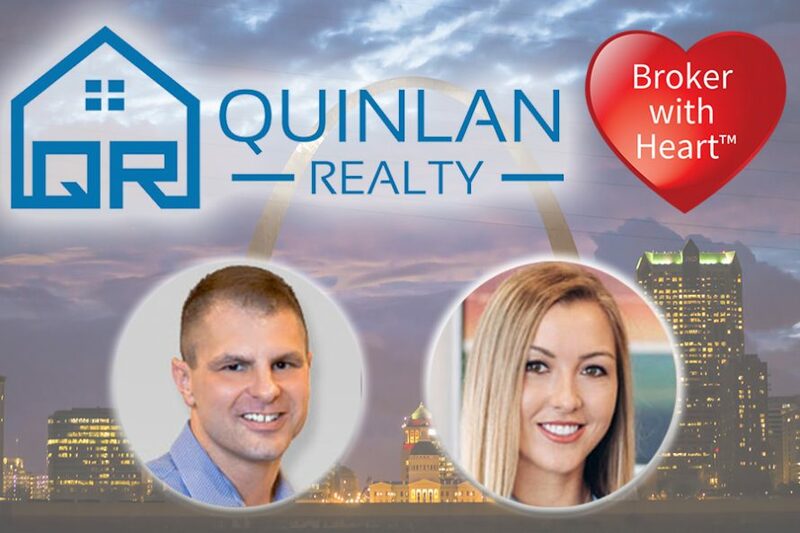 Quinlan Realty in St. Louis, MO has generously made 5 donations thanks to Agent with Heart Tayler Karhliker and distinguished Broker with Heart, Craig Carr. Tayler Karhliker has made a very generous donation to the V Foundation on behalf of her client, Beck Murch, in honor of Abby Robke. Craig Carr has made 4 generous donations. The first was to Friends of Kids with Cancer, made on behalf of his client, Irving Collazo, a second donation to Cod.org, made on behalf of his client, Josh Holcomb. His third donation was made to the St. Louis Learning Disabilities Association on behalf of his client, Pam Nitsch, and he also generously matched Tayler’s donation to the V Foundation on behalf of her client. “I’d like to personally thank Tayler for her incredibly generous donation to the V Foundation, and for the donations she makes after each closing. I’d also like to thank Craig not only for his generous donations made as an individual, but also for matching the donations made by his team, making his impact two-fold. Their donations create a ripple effect within the community that extends to those in need, and for that we are so grateful,” concludes Mr. Giaimo. To contact Tayler Karhliker, please call 314-401-9889 or visit www.QuinlanRealty.com.